Mechatronic systems require comprehensive, solution-oriented expertise in all key disciplines involved: in mechanical engineering, electrical and control technology, and IT. As an established system solution provider, we have many years of experience in the development of mechatronic systems and know that a well-founded understanding of the planned application and the circumstances is the basis for an efficient solution. Our customers can rely on the deep project experience of our engineers and project planners, who integrate our expertise in housing technology, electromechanics and control technology in every project. We apply our range of core competencies through our diverse group and – if the project calls for it – draw on a high-quality network of engineering service providers and universities to ensure the optimal solutions for every project. 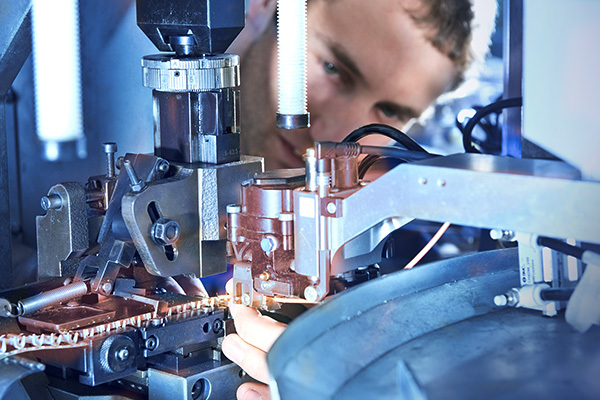 Our services in the field of mechatronics encompass the entire process chain: from qualified consultation, development and design to trial samples, series production and supply of mechatronic products. Are you looking for a provider that can support you throughout the entire process of producing mechatronic systems? Talk to us – we look forward to your challenge!